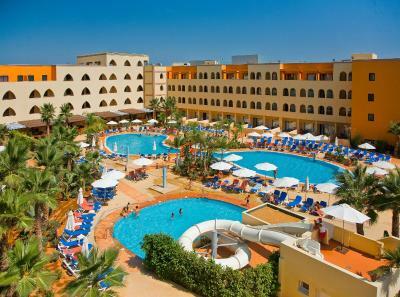 Lock in a great price for Playa Marina Spa Hotel - Luxury – rated 8.7 by recent guests! Atenção para com os clientes, na piscina ofereçeram fruta, águas no checkout. El trato del personal, fenomenal, hacen sobresaliente el buen conjunto de valores que tiene el hotel. 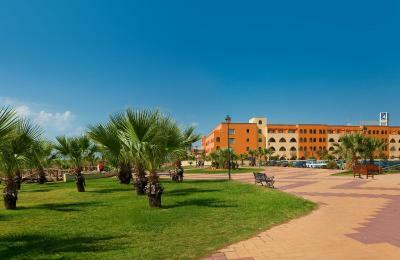 me encanto el hotel en su conjunto todo impecable y limpio, situado frente al mar. habitacion espaciosa y con vistas. 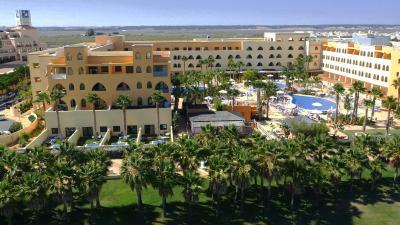 Playa Marina Spa Hotel - Luxury This rating is a reflection of how the property compares to the industry standard when it comes to price, facilities and services available. It's based on a self-evaluation by the property. Use this rating to help choose your stay! 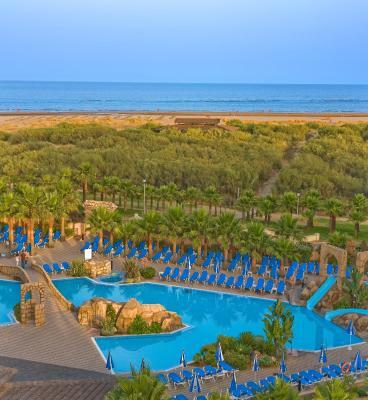 Playa Marina Luxury Hotel offers sea views from its location 650 feet from Isla Canela Beach. Set around an outdoor swimming pool, it features a spa and rooms with balconies. 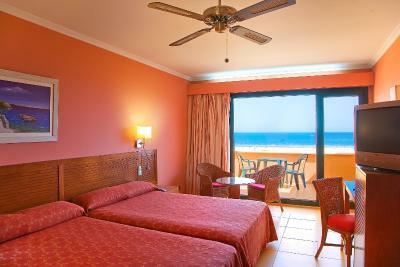 The air conditioned rooms at the Playa Marina are brightly decorated. Each has a minibar and a fully equipped bathroom. Some rooms offer sea views. 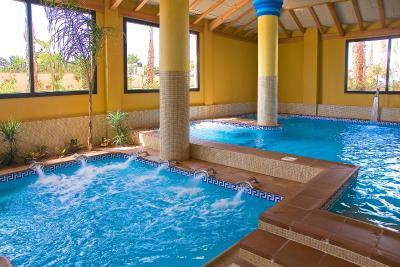 There is an on-site gym, and the hotel spa features an indoor pool and offers beauty treatments. 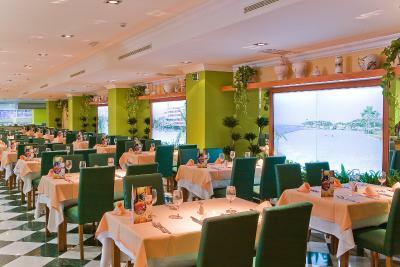 The Marina’s buffet restaurant features show cooking, while the restaurant serves dinner from a varied dining menu during the summer months.There is also a bar. The Playa Marina Spa is less than 1,650 feet from the center of Isla del Moral and is a 10-minute drive from Isla Canela Golf Club. 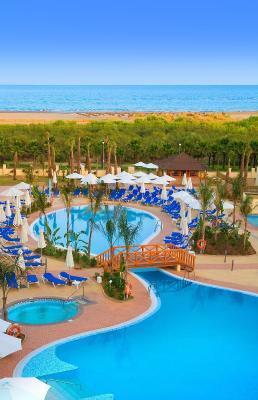 Aquopolis Water Park is a one hour drive away, while Huelva is less than 43 miles away. 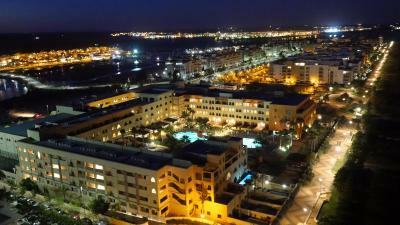 This property also has one of the top-rated locations in Isla Canela! Guests are happier about it compared to other properties in the area. 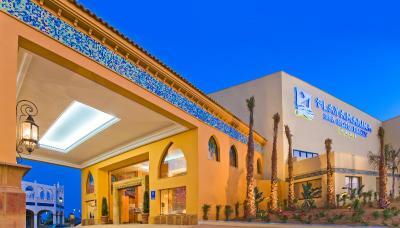 When would you like to stay at Playa Marina Spa Hotel - Luxury? This bright room offers satellite TV, a mini-bar, a ceiling fan and a rental safe. 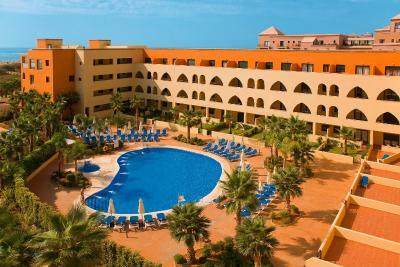 There is a balcony, many with sea views, and air conditioning or heating depending on the season. 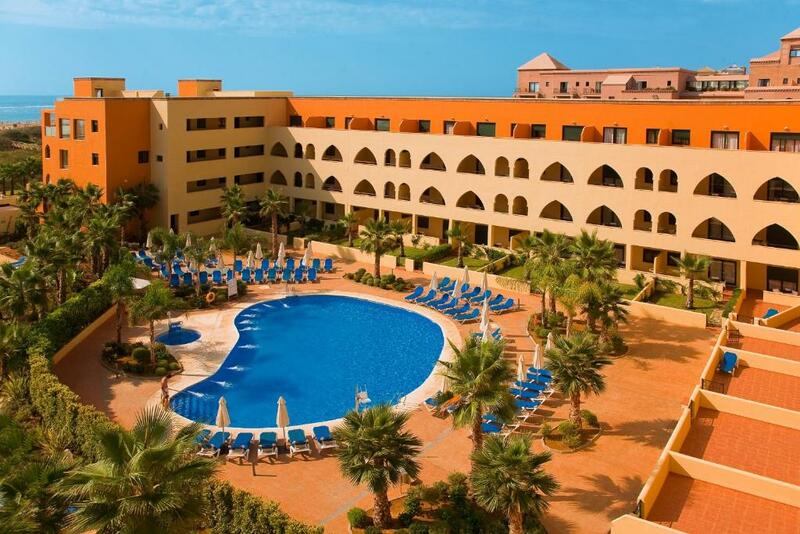 In this hotel you can find themed swimming-pools with funny slides and jacuzzis (exclusive access to people older than 15 years old), sunbeds on the swimming pool and playground (minigolf, pingpong, petanca, shuffle board) perfectly set up for families with children due to its large rooms which are more spacious and brighter. Another important thing about these rooms is that the WC is separated from the rest and all of them include bath an shower. 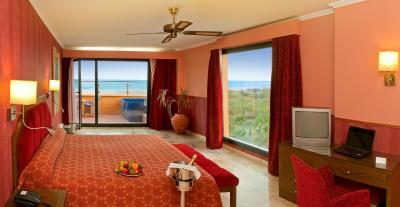 The rooms also include find satellite TV, air conditioning, ceiling fan and bathroom including hair dryer. 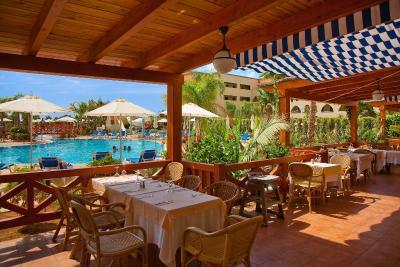 You can also enjoy of our buffet restaurant with a varied offer and show cooking where it is required proper attire for dinner and it is forbidden to access with wet clothes to the restaurant. On the other hand, all our guests in Half Board basis can make their choice without prior notice if they want to have lunch or dinner. Apart from the buffet restaurant you can enjoy of two exquisite À la carte Restaurants, one of them is Italian Cuisine and the other one is Mediterranean Cuisine. House Rules Playa Marina Spa Hotel - Luxury takes special requests – add in the next step! Playa Marina Spa Hotel - Luxury accepts these cards and reserves the right to temporarily hold an amount prior to arrival. Please note both the buffet and à la carte restaurants operate a smart dress code for dinner, with trousers to be worn by all male diners. Options for diners with special dietary requirements are available on request, please contact the hotel in advance. Access to the Delfín Playa Mini Club is restricted to children aged between 4 and 12 years. Please note that children between 4 and 15 years old can only use the spa facilities for a surcharge from 12:00 to 14:00, always accompanied by an adult. Children under 4 years old are not allowed in the spa. For nonrefundable reservations, you must confirm your credit card details via a secure link. 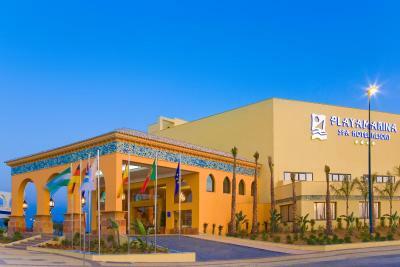 Playa Marina Spa Hotel will send you the link by email after you have made a reservation.